Our little guy turned two about two weeks ago. Just like last year, my schedule was super crazy and so this year I didn't get a big party planned. We had cake and presents spread out over a few days and some playdates with friends instead. We can't get over how much Will has changed even in the past year. 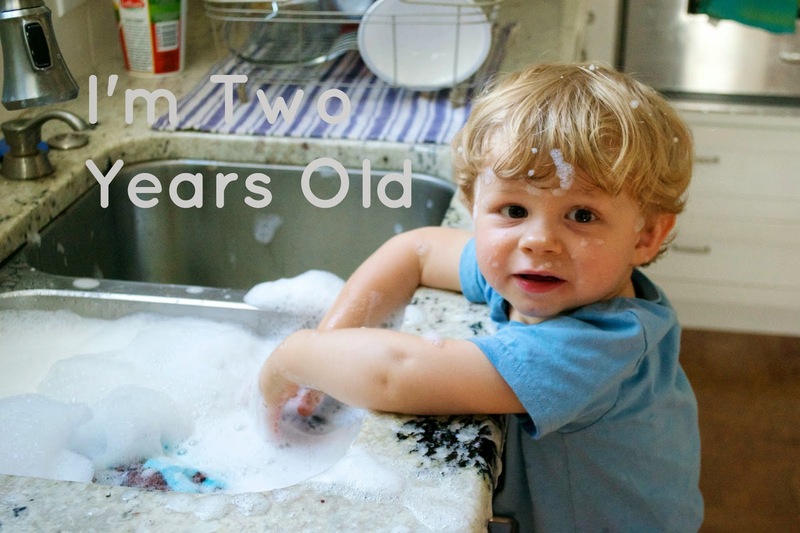 He's just like a little man now and sometimes we have to remind ourselves he's only two (when he's throwing a fit) and other times we are astounded by how much he's able to do and notice. After 24 posts with little Will updates, we're going to start spreading them out a bit. I haven't decided if they will be every six months or every year but it's going to be less frequent. I'll probably decide when he's hit enough new milestones for me to want to document.